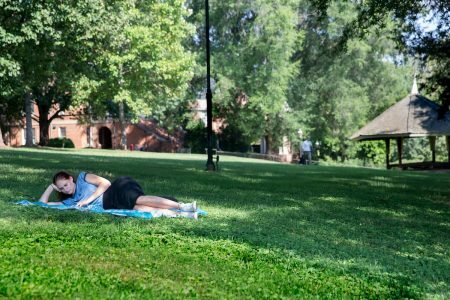 Randolph College was recently ranked 23rd in Best College Reviews’ national list of Top 25 Green Colleges for 2018, alongside several larger institutions like the University of North Carolina-Chapel Hill, the University of Virginia, the University of Massachusetts-Amherst, and the University of Maryland. Best College Reviews compiled its rankings using data from College Navigator regarding tuition, as well as program information gleaned directly from each institution’s official website. The methodology used to determine the rankings is based on tuition, placement on the Princeton Review’s comprehensive evaluation of green schools in America, and the school’s overall rating by U.S. News & World Report. See the complete list of rankings at https://www.bestcollegereviews.org/top/green-colleges/.